A beautiful child writes and writes with glistening eyes, every word a tragedy of mis-spelling, but every word spell-bindingly well chosen. Is her success as a budding author assured, or will the school of hard knocks teach her that she cannot write simply because she cannot spell? A little boy painstakingly creates a complex game, every piece hand-drawn in endless, unrecognizable detail. Will someone show him how computer graphics, with their easy editability, can help him express his complex ideas despite his dyspraxia? Or will he be left thinking that he will never have what it takes to bring his plans to fruition? The new ADHD kid, in short breaks between bouncing off the walls, mixes fact with fantasy in every written task, no matter what the supposed goal or genre. Will anyone realize that her passion for science fiction is actually helping her stay focused enough to write at all? A mother sobs into a tissue at parent teacher interviews. “I don’t know whether he can’t or won’t. I’m so confused with what he knows and what he doesn’t do. Some days I’m convinced he’s just naughty… and that would make it all my fault!” Will this teacher judge, or did she bring the tissues herself, because she knows that good listening to parents under pressure often yields tears? These five scenarios contain between them interwoven snippets of many lives. One is told with permission, and the rest are composites, but based on the real lives of twice exceptional children I have taught, and a substantial percentage of their mothers. To be twice exceptional is to have an area of sufficient strength to be gifted, demonstrated by observably high ability in one or more kinds of activity or thinking, or by outstanding scores on one or more subscales of an IQ test, while at the same time having some form of disability, often one that affects other kinds of thinking and learning. While the gifted all-rounder is beginning to wonder why classmates do not share his or her interests or understandings, the twice exceptional child is wondering why children who seem to know less can clearly do more, or what the special formula is that turns amazing ideas and questions into teacher recognition. Unless adequately supported in discovering and building on strengths, the twice exceptional child is at risk of disengaging from school, miserably reflecting that, “I must have been so dumb to ever think I was smart”. These, then, are twice exceptional children. What is it that they need from family, teachers and friends? 1. More than anything else, twice exceptional children need to be accepted for who they are. The term “unconditional positive regard” has been around for a very long time now, but it seems that the greater the yawning gulf between a child’s strengths and weaknesses, the more the acceptance of the child depends on someone “magicking” the weaknesses away. Get real folks. Twice exceptional children can learn strategies to deal to their strengths, but they can never be anyone else but their own fascinating selves. They can’t learn self-acceptance unless someone else accepts them first, and once they feel accepted, they will often become more relaxed and a lot easier to be around. 2. Twice exceptional children need adults around them to realise that no matter how great the puzzle in sorting the wheat from the chaff – mapping where their strengths and weaknesses lie so that they can be offered tasks which give them a chance at success – the puzzle is even greater for the child, who lacks adult life experience. These children really do need adult help in selecting and structuring tasks that will showcase their abilities rather than highlighting what they cannot yet do. 3. Twice exceptional children need a generous network of supporters, and so do their families. This means that those around them must resist the urge to play the blame game, finding fault with the child, the parents, or themselves. They must understand that here is a child and a family who will face an ongoing series of challenges; and that support that is warm, flexible and practical is the best kind. Parents need friends and teachers who see both sides of the child, not just the strengths or just the weaknesses, who they can use as informed sounding boards when they make difficult decisions. Some twice exceptional children exhaust their friends, family and teachers, and a wide network of support means that people who need a break can take it. Kids melting down are not pretty, and can face harsh consequences. Adults melting down sometimes fake more grace, but almost always face harsher penalties. 4. Twice exceptional children need true peers, but in moderation. Let’s imagine you’re in a terrible domestic accident with a rogue electric can opener, and lose the thumb and index finger on your dominant hand. I imagine you’d quite like to meet someone who has also lost both of these important digits, and ask them things like how long it took them to learn to do up buttons again. You may fluke it and also become friends. You may not. Two gifted children with autism may well find some interest in meeting one another, and may forge a friendship. If they don’t, they will be completely honest about it, because they have autism. What is more, they will be unlikely to change their minds in any great hurry, also because they have autism. Pressured to maintain the relationship, any veneer of charm they have learnt from patient grandmothers or social stories will eventually collapse, also because… they have autism! It is okay, or even encouraged, to build on the ideas of others. The source of those ideas must be acknowledged. It’s often OK to work together. With this “open source” philosophy in the classroom, the child with great ideas and no follow through will be acknowledged by the child who follows through, and will see how that follow through can be done. The child whose drawings were the wrong shape but represented the most creative concept will be acknowledged on the masterpiece of the child whose pencil moves where it is willed to go. The child who couldn’t write his or her brilliant story alone will acknowledge the one who helped to spell or record it, and will get the job done. A classroom culture of valuing contribution and collaboration tends to highlight the strengths of twice exceptional children, even though some of them will need support in developing collaborative skills. A collaborative culture doesn’t mean children must always work in groups. Many like to exchange ideas and then work alone. 6. Twice exceptional students need recognition of great efforts, small gains, and productive strategies. The dyslexic child who has spelt ten percent of his words correctly may regularly put more effort into spelling than any other child in the class, may be up five percent on last week, and may have made the gains by drawing doodles around every word in his spelling notebook – so that they all looked like different vehicles – thus cementing the shape of each word in visual-spatial memory. However, he may not be aware that he has made any gains at all until someone who can be certain what is spelt correctly points out the improvement, and helps the child understand why the strategy succeeded, giving permission and encouragement to draw on spelling notebooks again. Only with understanding that gains have been made, and of how those gains have been achieved, can transferable learning occur. The effort made must also be valued and acknowledged. This acknowledgment must be done with particular sensitivity when the effort is being channeled via an unsuccessful strategy, such as copying out a word incorrectly over and over in a diligent but doomed attempt to learn to spell it. 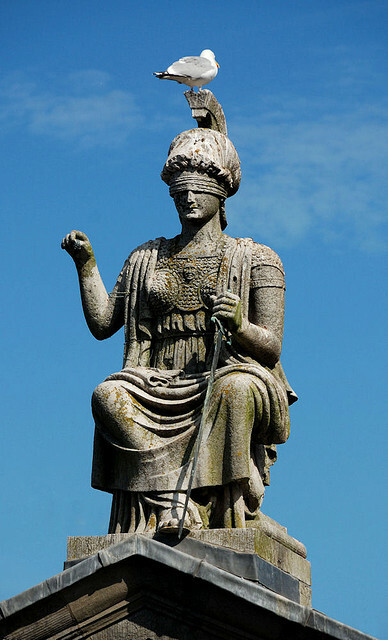 Blind Justice - Twice exceptional, but unable to deliver on her talent for fairness without her scales. How can we equip the twice exceptional children in our care? This photo, by Flickr member steeljam, has attribution, non-commercial and no derivatives licenses. In the spirit of acknowledgement and co-operation that I encourage with my classes, I’d like to acknowledge Mona Chicks, whose 1000 hit post, the Top Ten Things I Wish Teachers Understood About Giftedness, gave me some very useful indicators about blogging styles that work. Thanks Mona! 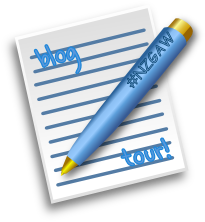 This entry was posted in education, gifted, Uncategorized and tagged #nzgaw, blog tour, gifted children, social and emotional needs of the gifted, student progress, twice exceptional. Bookmark the permalink. 17 Responses to What do Twice Exceptional Children Need? I think a lot of these are very good tips for friends of those with 2E kids too. While we are surely sensitive and caring towards our friends and their fantastic kiddos, it’s difficult to see what’s best, because while our kids may have their own challenges (and certainly those of us with Gifted kids do) the difference in the types and magnitude of challenge is something that is hard to understand. Really good reminder and explanations, thanks! Yay Mary! You must have met my 11-year old 2e daughter, because you describe her needs perfectly! 🙂 She blossoms when adults really ‘get’ her and appreciate her creativity, humor & intelligence. Thank you for this post! EXCELLENT article! I am impressed and will share with all my friends and teachers I know. I have a twice exceptional son with auditory processing disorder so his deficits look significant while his gifts aren’t seen much in school (visual/spatial/puzzles/pattern recognition). We have worked hard to help the teachers understand what he needs to boost his self esteem so he doesn’t get squashed by the things he struggles with. Thank you so much for writing this! This really is a lovely article. I have a dyslexic, dyspraxic, ADHD-ish (unmedicated) kid who has been listening to poetry since he was a baby, draws entire world nonstop every day (replete with stories), and dictates rather profound papers. Hopefully he’ll master that capitalization thing one of these days, though. I am running interference for him and am happy to say that his public school teacher did many of those things for him last year — for his best year ever. I cannot thank her enough and my fingers are crossed for next year! Thank you all so much for the kind comments, which are very much appreciated. I see that most of your names are linked to wonderful and inspiring blogs of your own, and I hope that readers of the comments will take time to visit them. This is wonderful. I will link back to you from my Facebook page and the autism.about.com site – LOVE what you have to say! This is a beautiful article. You really “get” our children. I can’t count the number of times tears welled up in my eyes reading this. I have a seven year old dyslexic, dyspraxic, profoundly gifted child with both Sensory and Auditory processing issues. From the time he could speak in complete sentences, which was right at two years old, he looked forward to being the scientist that finds the cure for cancer. Then he hit school…and all his hopes were shattered. We are homeschooling him now, and once again, he has decided that he does have what it takes to be that scientist. All it takes is one adult…I repeat, ONE ADULT to believe in these kids…and luckily, my son has several more than that now. Thank you again and keep writing. This is a crucially important message to get out. This is fantastic, absolutely fantastic! There are twice-exceptional adults, too. Brilliant information and advice. I, too, will be sharing this article on Facebook. Thanks! Great article, I have a friend who has a son who has aspberger and ADHD and you described him in a few things in your article. I am going to send her the link to this article. I think she will enjoy it and get a lot out of it. My own son has trouble in reading (signs of dyslexic) but his math is advanced for his age. He can tell me a story or dictate papers to me but when it comes to writing it down himself he will loose it. He has improved since I started letting him type them out. You have given me a lot of great ideas to try with my son. Thank you for a great article. Thank you so much for this article, our kids and us parents need help getting awareness and understanding to educators, teachers & healthcare professionals! What a waste to society if we don’t nurture these brilliant, creative minds! We have a twice exceptional son about to turn 9 years old, who grew out of ODD, had some ADD, has Microtia (only 1 ear) and has a language disability. We’re in the best public school system and they are clueless on 2e students; but the state is not funded for gifted and is way behind on gifted services. There has been no problem getting speech therapy (even after services are not needed), with state funding to the school. The school has on it’s gifted website, scoring does not guarantee placement in the gifted class. So, any child not in the “normal gifted” doesn’t have a chance to get help or services and is a shame. But, we are determined and will keep fighting to get help, even from a mom that struggles with PPCM (pregnancy related heart failure), another condition that needs awareness. Please keep doing whatever you can to help these amazing children, they need our support!